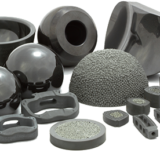 CARLSBAD, CALIFORNIA–(Marketwired – May 31, 2017) – Aurora Spine Corporation (TSX VENTURE:ASG) announced today that the company has selected its proprietary implant locking technology covered by United States Patent No. : 9,603,637 entitled “POLYAXIAL INTERSPINOUS FUSION IMPLANT AND BONE GROWTH STIMULATION SYSTEM” for out-licensing opportunities for medical and industrial applications. “Aurora Spine is now offering its new Polyaxial ZIP® Interspinous device patent for out-licensing or private label opportunities. 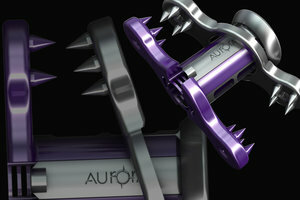 The combination of the proven ONE-STEP™ locking mechanism, with no setscrew, and the polyaxial feature could be a unique opportunity in new product development for orthopedic and other medical and industrial manufacturers,” said co-inventor, Trent Northcutt, President and CEO of Aurora Spine. “Aurora’s patented features offer new design directions for hardware connections that do not rely on conventional threads and screws thus preventing hardware loosening related problems,” said Laszlo Garamszegi, Chief Technology Officer of Aurora Spine. For more information on out-licensing or private label opportunities using the Polyaxial ZIP ISP platform, contact Laszlo Garamszegi at 760-424-2004 or info@auroraspine.us. We are a long way away from that, and that is a very good thing. However, there are very real benefits as a result of having reps participate in the O.R. I am convinced that there are profound benefits to the hospital, surgeon, staff and patient. These merely represent the value of the rep in the room. However, there is great value to healthcare beyond having an orthopedic sales rep present during surgery. In fact, it is what leads up to the surgical theater that is often overlooked and without a talented rep, a void will be created that must be filled by someone. It was always gratifying to me the appreciation that I received from nurses and administrators. However, I remember showing up to sell in my new territory at an O.R. in Lancaster, CA to introduce myself as the new Zimmer rep back in 1989. I entered the O.R., while staying behind the line, and asked the gal at the desk if I could speak with the O.R. Supervisor. She gave me a long up and down look then proceeded to speak into the microphone to the overhead intercom to announce my arrival. “Jennifer, there’s a gentleman with tassels on his shoes at the desk waiting to see you.” That is how some people see reps. Just well dressed people who waltz in and expect to have the red carpet to sell people stuff. In reality, reps spend a ton of time meeting with surgeons to help them with preoperative planning, reviewing x-rays to ensure that they are ready for anything when the patient is under anesthesia. It is the job of a rep to be 100% certain that you have everything you need for the case which may require flying equipment in from cross country, but not having it is never an option. It seems overlooked that sales reps, especially those who cover trauma, are on the clock 24/7 in support of their surgeon and hospital clients. It might seem like no big deal to those who don’t understand the implications, but imagine for a moment that you are a sales rep and you have 20 surgeons you support, each with their own individual schedule and demands. It is a balancing act like no other to support the needs of these surgeons and their patients. Not showing up or having the equipment ready for a case is never an option, and certainly would result in risking losing business and tarnishing your reputation. There are always competitors standing in lurch waiting for someone to mess up. I always said that for every surgeon who uses a product, there is a rep “on deck” waiting for their chance to save the day when you screw up. Another reality for many reps is never taking a family vacation that wasn’t somehow tied to a business event. In my day, not only did I have to pay my own way but also those of some of my surgeon customers and their families. It wasn’t so much about getting new business as it was about protecting your business. The expectation was that since they used my products and I benefitted from it, I would cover the major expenses of their trip to get CME credits. The risk was that if I did not, one of my competitors would entice them to go to one of their meetings and they may come home and switch. The industry has changed in some positive ways as well. When I was the Zimmer rep, I covered everything from Recon to Trauma. This meant that I could easily be in surgery all day on Monday, get a trauma case in the evening requiring me to be there all night, and not make it home before my 7:30AM case the next morning. When I was on call, I could be at dinner or a movie with my wife and suddenly have to run her home to run sets and cover a case. Sunday mornings looked like driving to church in separate cars in case the pager went off and I had to leave on the spur of the moment. The point I’m making is that in a very real sense, many sales reps have the insane schedule of a surgeon with many similar time demands, and yet without some of the upside. It is also the rep that enables surgeons to make quick decisions about treatment of a patient and they know their rep will take care of getting everything they need to fix the patient. 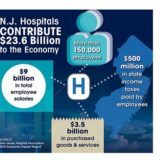 It may be as simple as calling the office and having it delivered or more complex as having to drive across town to borrow it from another hospital or distributor, or even times when you have to contact someone out of state and have equipment flown cargo on a commercial airline to get there in time. The reality is that most of the stressful things that happen never see the light of day and no one in the hospital is aware of the extreme measures taken in order to see to it that the patient got the very best treatment. It is unclear to me who will be there to step into the gap and support the orthopedic surgeon if the rep is tossed to the side. I think we always expected that over time the market would force out the more skilled and experienced orthopedic reps in favor of cheap labor, similar to a pharma rep. Our saving grace was always that they didn’t like to work that hard. 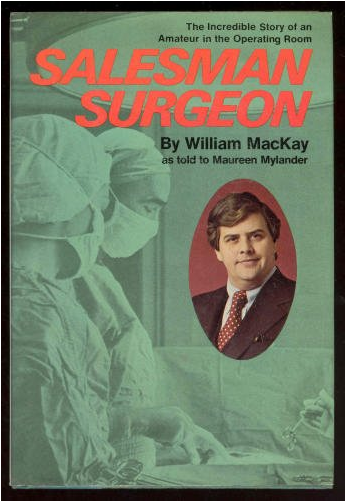 Perhaps the time has come that the market will shift the reps support responsibilities on to the surgeons who will undoubtedly need to hire someone to support them. Maybe the market simply needs to see what it looks like to force the best and brightest out and see the impact on the surgical teams. One thing is for sure, the market seems to behave like they see reps as unnecessary. Time will tell. Of the 10,605 ATTUNE Knees included in the analysis from the National Joint Registry for England, Wales, Northern Ireland and the Isle of Man (NJR), 46 required revision. Based on a separate analysis, the report concluded that 63 ATTUNE Knee revisions would be expected at four years – a difference that was statistically significant (p<0.05).1 The expected number of ATTUNE Knee revisions was calculated by the NJR based on duration of implantation, age group, gender and indications. 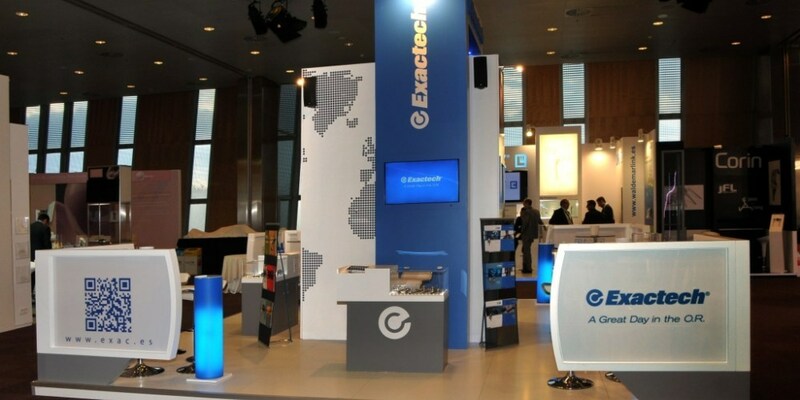 DePuy Synthes announced the four-year data in Vienna, coinciding with the 18th European Federation of the National Associations of Orthopaedics and Traumatology (EFORT) Congress. The full analysis, including a breakdown of the reasons for revision, is available on ATTUNEevidence.com and can be accessed here. NJR publishes an annual report including 1, 3 and 5-year outcome data; however, additional survivorship data is now also available more frequently to manufacturers who subscribe to the NJR’s Implant Summary Report service. DePuy Synthes is committed to the continued evaluation of outcomes through its comprehensive ATTUNE Knee Evidence Generation Program that, in addition to national joint registries, gathers information from investigator-initiated studies, independent studies and company initiated studies. ATTUNE Knee clinical evidence to date is available on ATTUNEevidence.com. 1National Joint Registry for England, Wales, Northern Ireland and the Isle of Man. Implant Summary Report for DePuy ATTUNE CR and ATTUNE PS. NJR Database extract April 7, 2017, pages 1-17. Licensed for use until April 19, 2018. Available at www.attuneevidence.com. The data used for this analysis was obtained from the NJR Supplier Feedback System. The Healthcare Quality Improvement Partnership (“HQIP”) and/or the National Joint Registry (“NJR”) take no responsibility for the accuracy, currency, reliability and correctness of any data used or referred to in this report, nor for the accuracy, currency, reliability and correctness of links or references to other information sources, and disclaims all warranties in relation to such data, links and references to the maximum extent permitted by legislation. 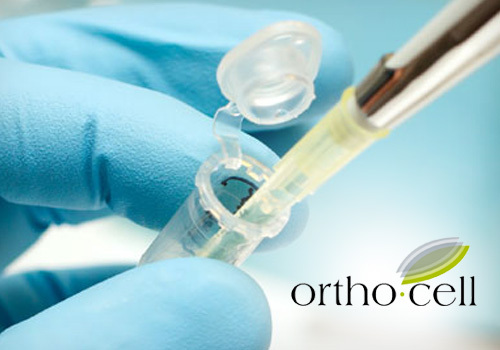 PERTH, Australia–(BUSINESS WIRE)–Regenerative medicine company Orthocell Limited (“Orthocell or Company”) is pleased to announce it has received confirmation from the Therapeutic Goods Administration (TGA) that Ortho-ACI® has been included on the Australian Register of Therapeutic Goods (ARTG). GAINESVILLE, Fla.–(BUSINESS WIRE)–Exactech (Nasdaq: EXAC), a developer and producer of bone and joint restoration products and biologic solutions for extremities, knee and hip, is pleased to announce that the first surgeries using the new Truliant® Knee System were performed yesterday. 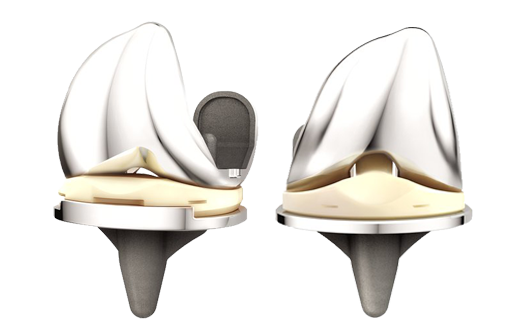 Truliant, which recently received 510(k) clearance from the U.S. Food and Drug Administration, offers a comprehensive portfolio of implants and instrumentation designed to help surgeons address the remaining clinical challenges of total knee replacement. Designed with the ultimate surgical experience in mind, the Truliant Knee System is a high-performance, comprehensive platform that addresses the clinical challenges in primary and revision total knee replacement. Leveraging Exactech’s core principles, Truliant applies advanced design philosophies and surgical technologies to help surgeons deliver clinical outcomes reproducibly case after case. Truliant is in pilot launch with a group of U.S. surgeons. Full market availability is expected in the United States during 2018. 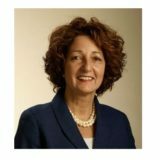 BREDA, Netherlands–(BUSINESS WIRE)–Freedom Neuro BV, a medical device distributor for Stimwave Technologies Incorporated, today announced CE Mark approval for the world’s first Percutaneous Injectable Anchor System. 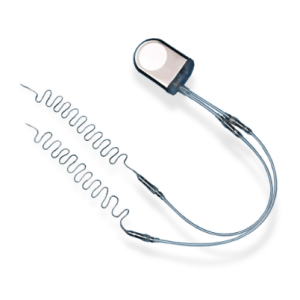 The injectable anchor is utilized in conjunction with the company’s wireless neurostimulator devices to provide true innovation in fixating Stimwave’s Wireless Pain Relief®technology through a minimally-invasive outpatient procedure for those who suffer from chronic pain. Aiming to provide a non-opioid alternative in the treatment of chronic pain, Stimwave has pioneered the Stimwave Freedom Spinal Cord Stimulation (SCS) System and the StimQ Peripheral Nerve Stimulator (PNS) System. Stimwave’s devices use Wireless Pain Relief®technology, are 95 percent smaller than any other neuromodulation device on the market and are the only system to have full body 3T MRI Conditionality. Representing a life-changing technological breakthrough for the more than 400 million people who endure daily chronic pain, the Stimwave Freedom Spinal Cord Stimulation (SCS) System is the most versatile system available in the industry. The CE Marked Freedom-8A SCS System can provide European patients with up to 64 electrode contacts and offer traditional programming options, as well as other programming options, including frequencies up to 10,000 Hz or waveform customization. The Freedom-8A SCS System with eight electrodes continues to utilize the Apple iPad programmer, leveraging Bluetooth protocols for ease of use in programming the variety of options. The devices deliver small pulses of energy to specific nerves, triggering a reaction that enables the brain to remap pain pathways, thus providing pain relief. ENGLEWOOD, Colo., May 30, 2017 /PRNewswire/ — Since its inception, Paragon 28 has obsessed over every aspect of foot and ankle surgery. Committed to creating tailored solutions to improve surgical outcomes, Paragon 28 has launched innovative products and instrumentation that help to streamline procedures, allow surgeons flexibility in technique and approach, and facilitate reproducible results benefitting both the surgeon and patient. The PRECISION™ Jones Fracture Screw System is the latest addition to Paragon 28®’s robust foot and ankle specific portfolio. The system is comprised of 120 unique screw options spread across four screw families (4.0 mm, 4.5 mm, 5.5 mm, and 6.2 mm). Solid and cannulated options of each screw length (34-60 mm; 65 mm) are available to address varying anatomies and fracture patterns. The screws are constructed from titanium alloy that is type II anodized for improved fatigue strength. 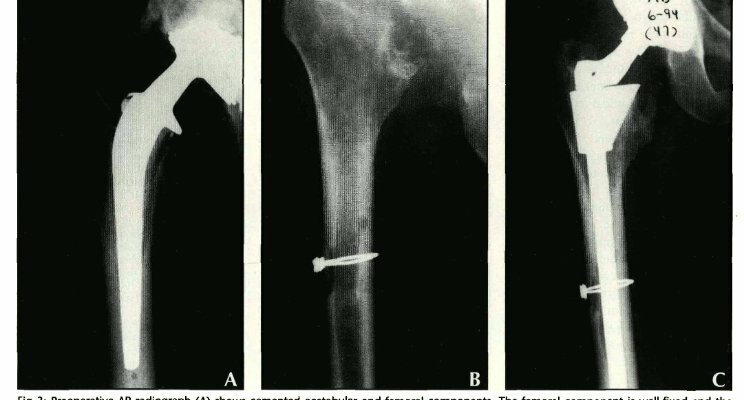 All screws have a short thread and blunt tip to minimize disruption to the cortical bone and to ensure the intended trajectory through the intramedullary canal of the 5thmetatarsal is maintained during insertion. Additionally, the screws have a low profile head to minimize prominence and avoid impingement of the cuboid. The PRECISION™ Jones Fracture Screw System also includes instrumentation designed to facilitate placement of a K-wire high and inside the proximal portion of the 5th metatarsal. 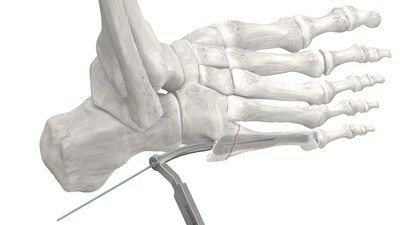 The patent pending PRECISION™ Jones Curved K-wire Guide has a tip which matches the base curvature of the 5th metatarsal and radius of curvature which aims the handle of the guide away from the lateral malleolus and cuboid. This guide’s primary function is to aid in positioning a nitinol K-wire into the center of the intramedullary canal simplifying placement which may reduce intraoperative fluoroscopy time. Constructed from nitinol, the K-wire will flex and follow the curvature of the intramedullary canal while limiting the chance of broaching the surrounding cortex. 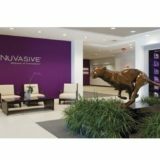 VEXIM (Paris:ALVXM) (FR0011072602 – ALVXM), a medical device company specializing in the minimally invasive treatment of vertebral fractures, today announces it has received the regulatory approval from ANVISA1, Brazil’s National Health Surveillance Agency, in order to commercialize the SpineJack® in Brazil. The approval from ANVISA is a key achievement opening a new opportunity for VEXIM in this important international market with untapped potential. This clearance will provide us with new growth opportunities in this key Latin American market. VEXIM estimates that Brazil alone today represents a €15 million market in the vertebral compression fractures field. “This approval will enable us to have substantial growth in our international business. The Company is expecting to initiate export to Brazil in the coming months, after the conclusion of the product’s evaluation process and of distribution partnerships”, said Vincent Gardès, CEO of VEXIM. 1 Agência Nacional de Vigilância Sanitária. 2 Indicative date, subject to changes. 3 Founded in 2001 in Paris, Truffle Capital is a leading independent European private equity firm. It is dedicated to investing in and building technology leaders in the IT, life sciences and energy sectors. Truffle Capital manages €550m via FCPRs and FCPIs, the latter offering tax rebates (funds are blocked during 7 to 10 years). For further information, please visit www.truffle.fr and www.fcpi.fr. 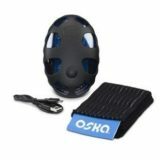 4 This medical device is a regulated health product that, with regard to these regulations, bears the CE mark. Please refer to the Instructions for Use.